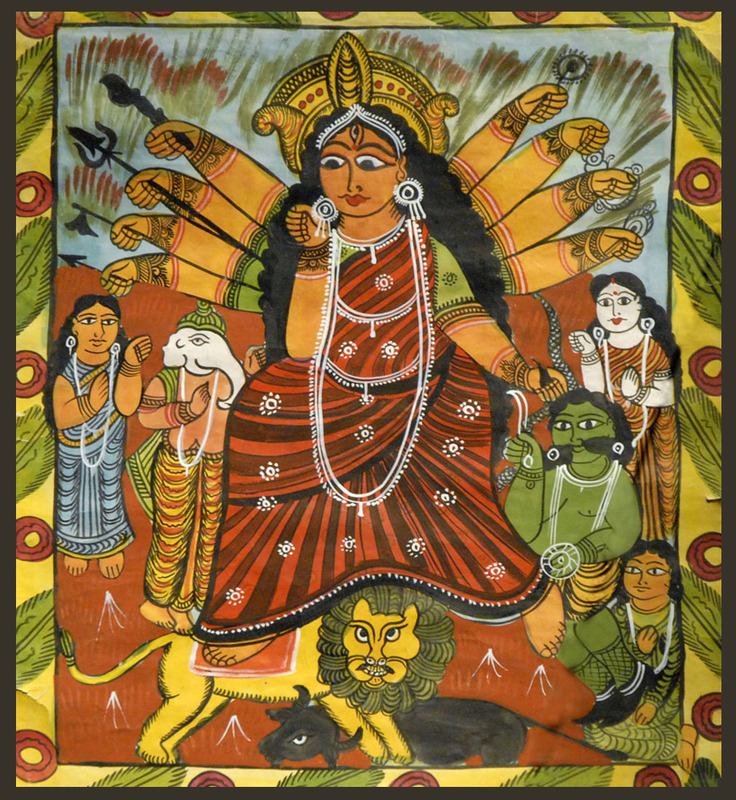 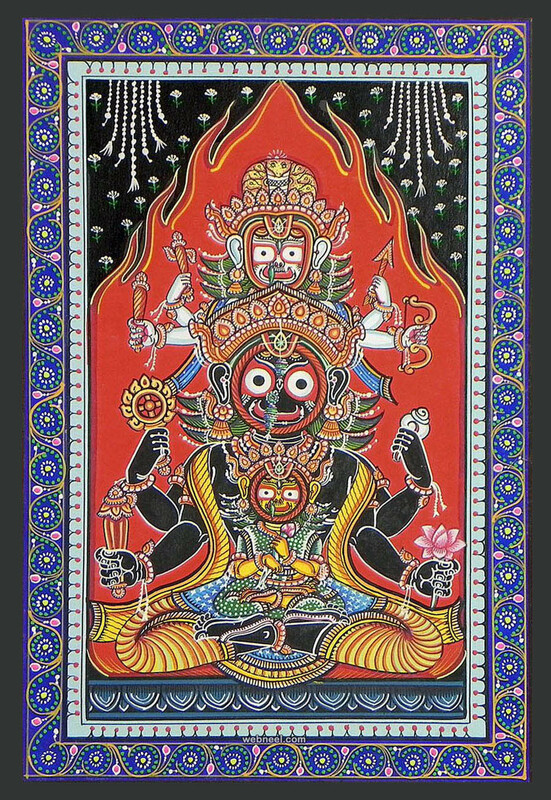 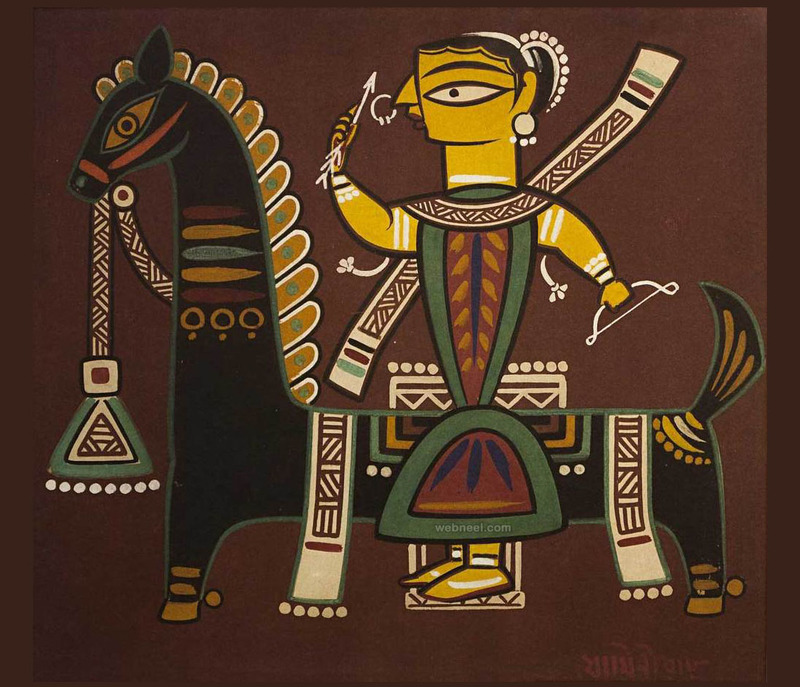 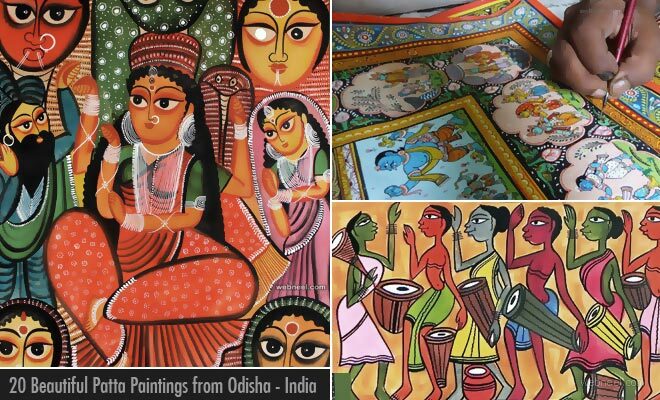 Patta Paintings are commonly known as Patta Chitra paintings and is quite a popular art in West Bengal and Odisha. 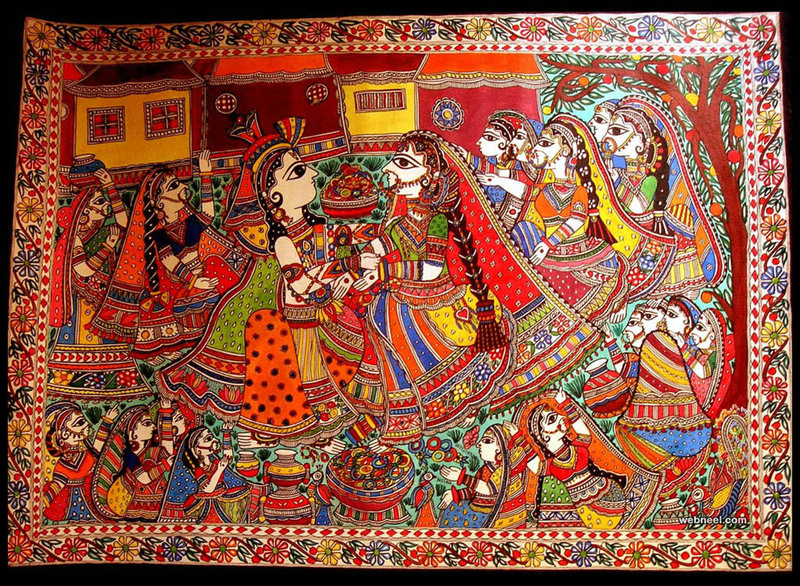 It's a traditional art done on a piece of cloth, mostly surrounding around folk tales and mythological stories. 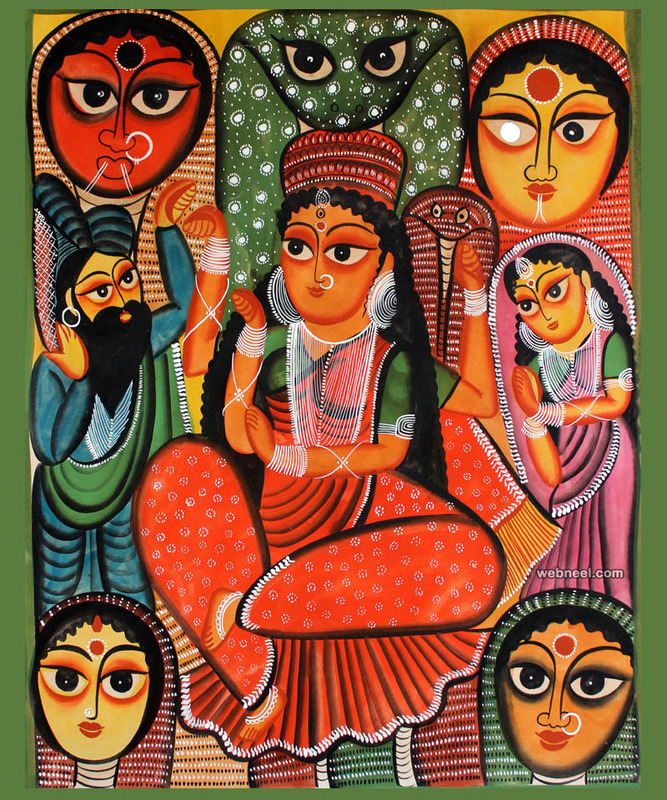 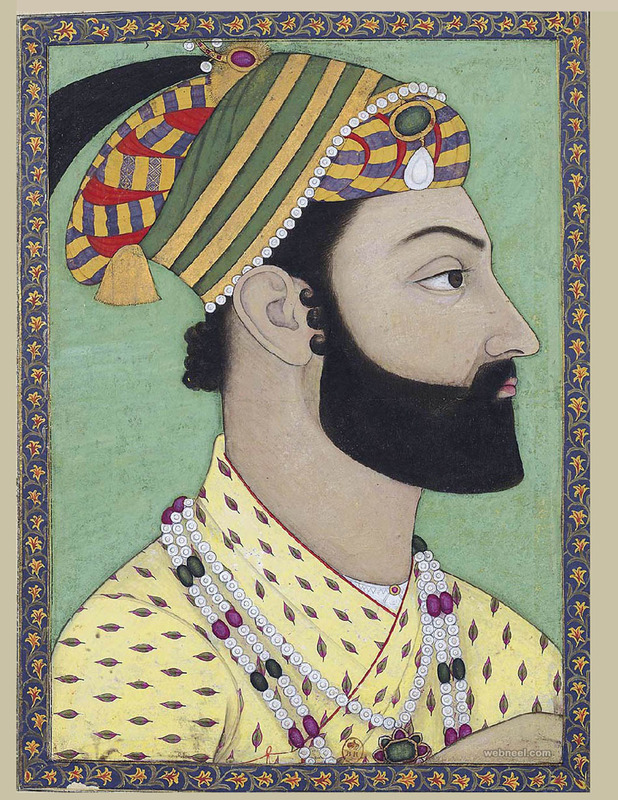 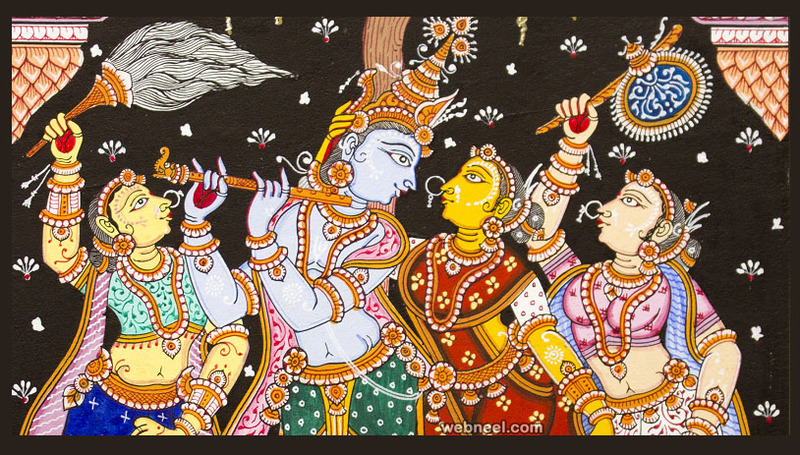 Patta paintings are theme based art with lot of motifs and bright colors. 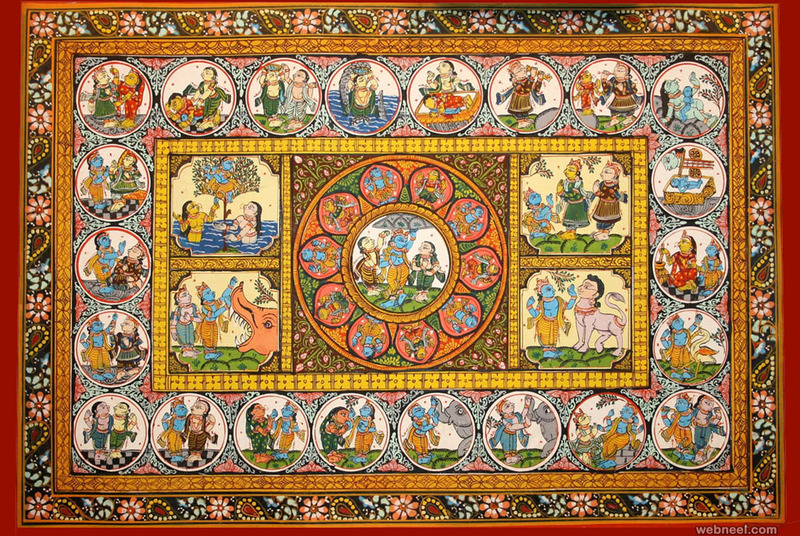 Patta paintings are known to exist from 5 B.C, where great tales were drawn on a piece of cloth, resembling a scroll. 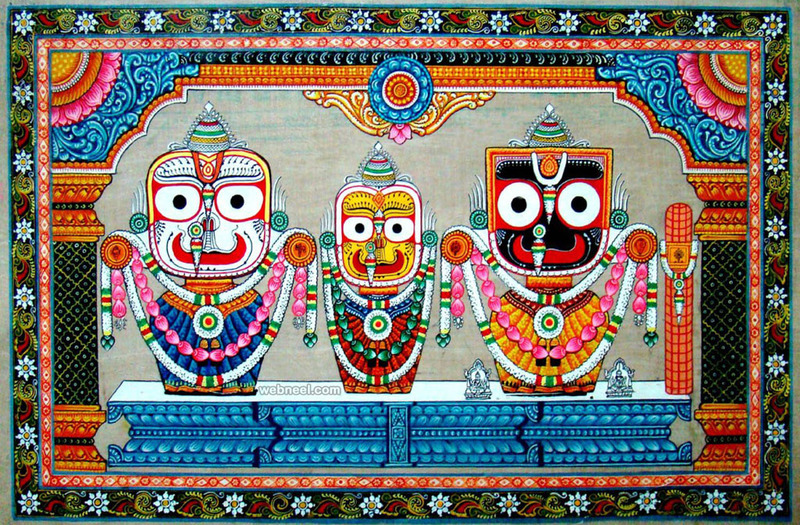 Odisha is the land of Lord Jaganath, so most patta paintings are stories based on Lord Jaganath and his followers. 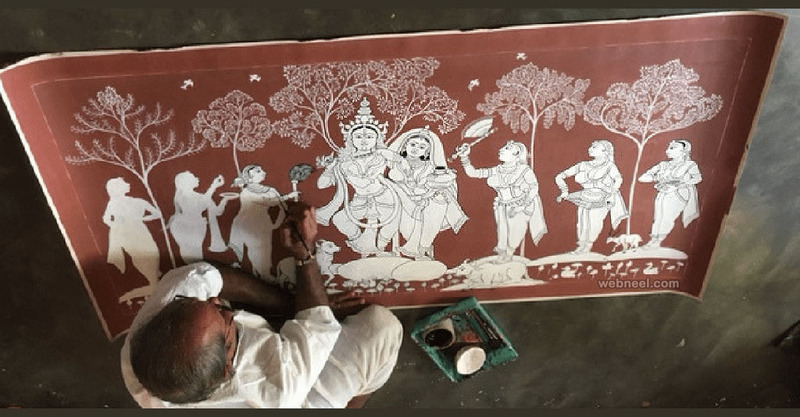 The artists are known as chitrakars and most of them hail from the village Raghurajpur, which is quite popular for it's craftsmanship. 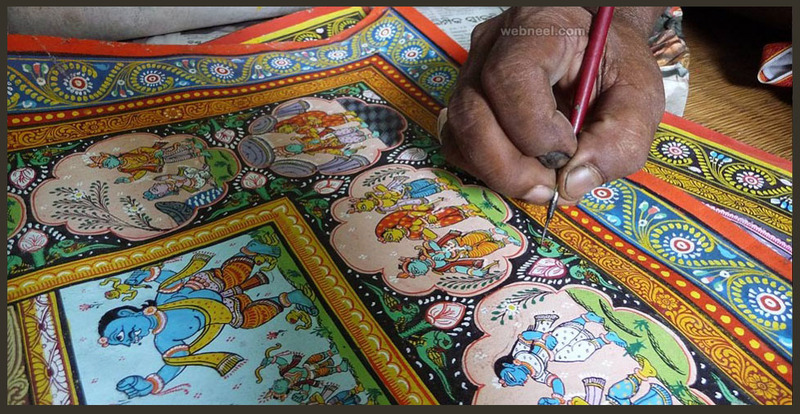 Every family in the village practise this passed and the tradition has been passed on from many generations. 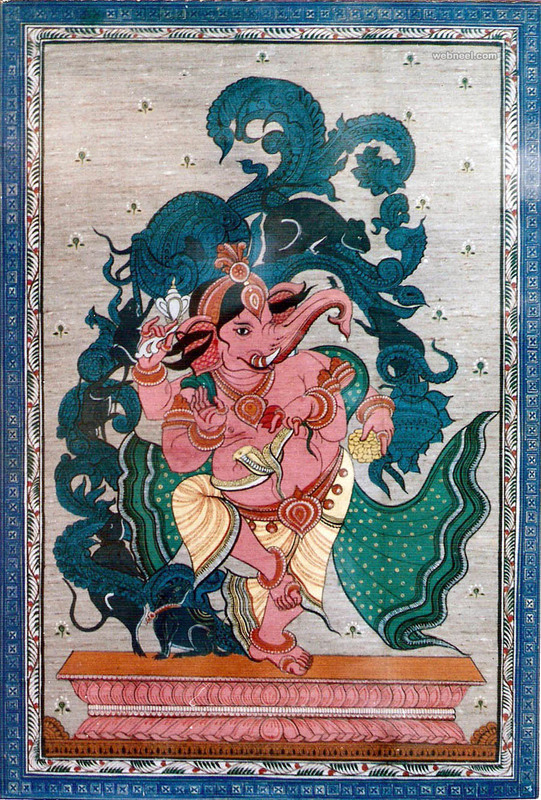 The preparation of the canvas for the patta painting is unique. 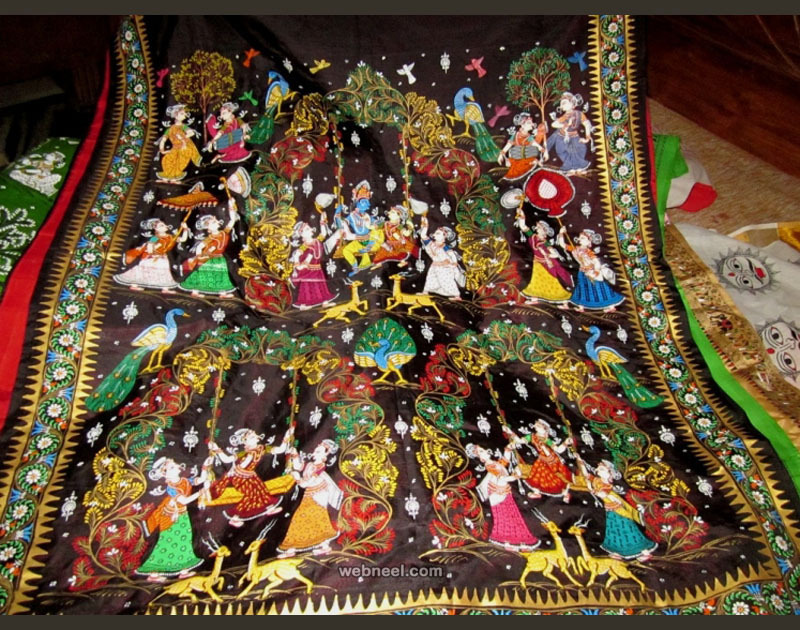 First a cheese cloth is coated with gum which is made of tamarind seeds mixed along with white stone powder. 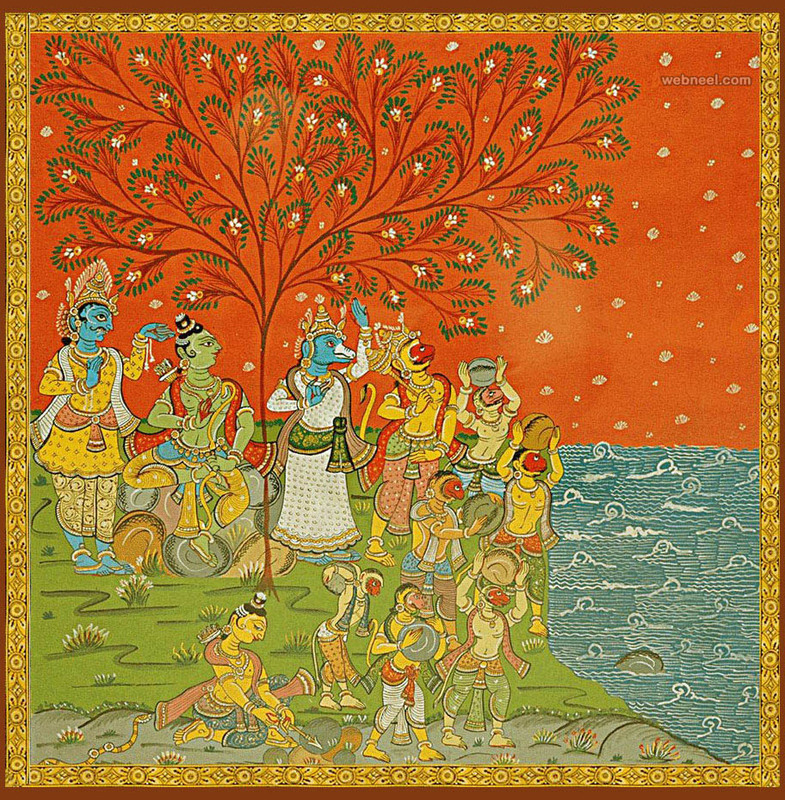 The base ingredient for the patta painting is the gum of the kaitha tree. 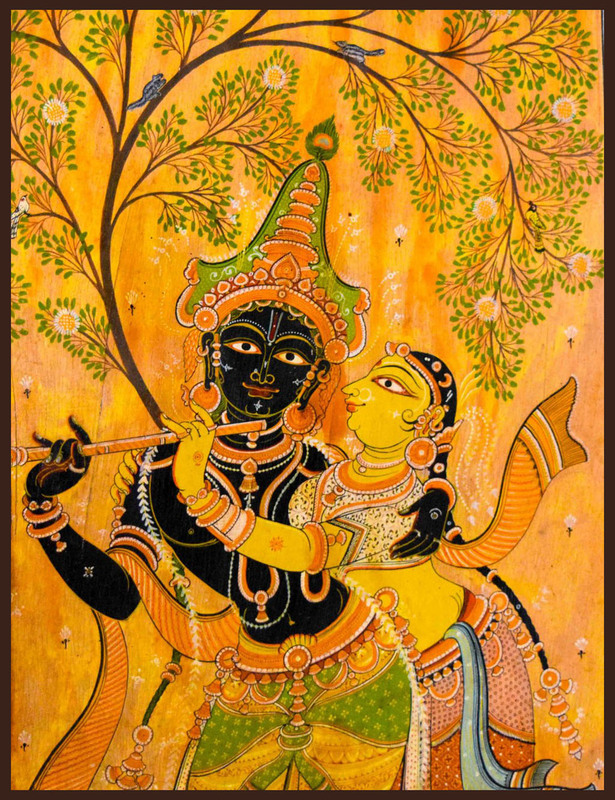 Only natural colors are used for such paintings. 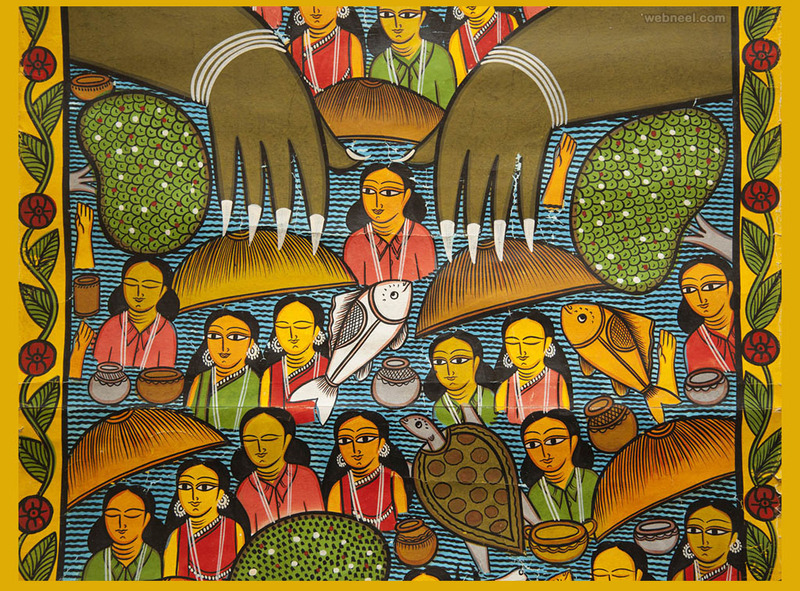 Nowadays arts create patta chitra paintings on palm leaves, toys and many more.